A large number of Kelsall members attended the meeting of the Forest Group, held on May 10th, in the Tarporley Community Centre. 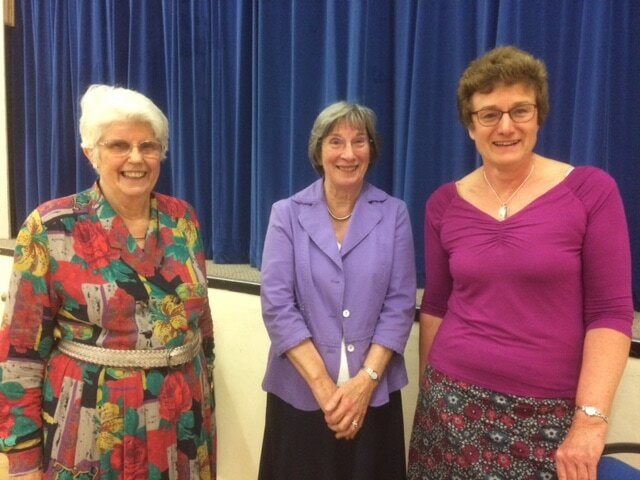 This was the penultimate meeting organised by the present committee comprising our own Marian, Pat and Ethel (shown below), who are due to stand down at the end of the year, when they will have completed four years in office. The meeting was extremely well attended, due to extra effort from the Forest Group reps. It had been billed as a very special evening, and it certainly was that . We were entertained by Lucy and Meredith of History Wardrobe , who travel the country giving talks based on clothing from particular eras. This evening's talk was based around Agatha Christie, and took the form of a murder mystery , and the clothes which might have been worn at the time of her stories...ie the twenties and thirties. We were also given a great deal of information about Agatha Christie herself, and the events of the time . Lucy and Meredith gave an absolutely splendid performance, both informative and hilariously funny, whilst showing us a range of fabulous original clothes from the era. Afterwards, we were able to look more closely at the clothes and to feel them, and to chat to our entertainers, who were extremely knowledgeable about the period, and a great deal besides. 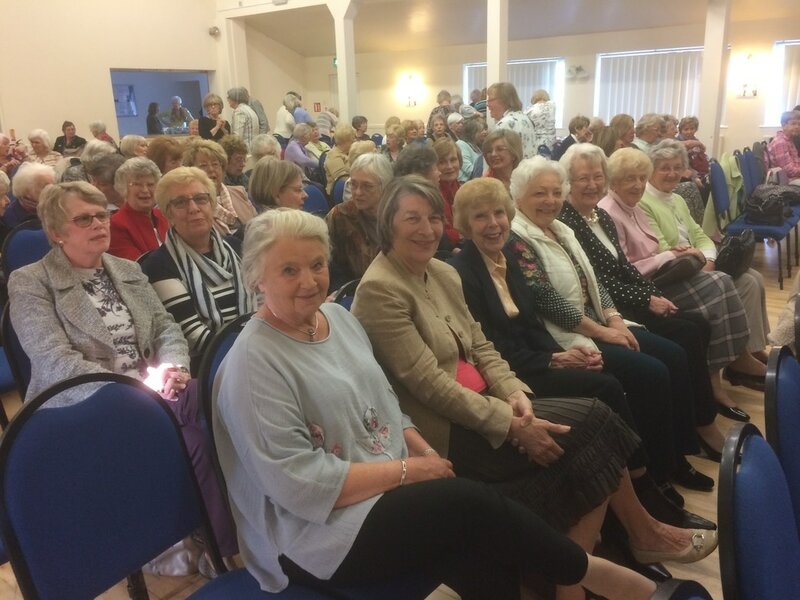 After the entertainment, we were treated to a huge array of cakes with tea or coffee, and Jean Harding, our federation President , thanked Marian, Pat and Ethel for organising such a splendid event. She finished by asking for members to put themselves forward to continue the running of the Forest Group after the afore mentioned trio stand down. A fantastic evening was had by all. The members of the audience didn't have too far to travel homewards, but our splendid entertainers, Lucy and Meredith, had a journey back to York ahead of them. Ethel, Marian and Pat , our Forest Group Officers, at a very successful meeting .